Survey websites are a good source to not only kill your time but to earn a significant amount of money in your free time. A lot of people are doing this – mostly in the United States (as most of these websites work only in the United States). But you can only earn money if you are investing your time on a survey website that is not a scam, and believe me, there are many that are only after your personal information with no intention to pay you a penny. On the other hand, there are tons of good options that can easily become an extra source of income for you if you are doing it right. The question here – Is Vindale Research one of the websites that are not interested in paying users or in simple words a scam just like Panda Research? Or is it a legit source of income for you in 2017? In this Vindale Research review, we will explore the question in detail and look into the feedback and overall website performance. We will also learn how to make more money in case Vindale is the legit and recommended source for you. From the look of it, Vindale Research looks like a well-established company and a website with clear, eye-catching and responsive web design. The domain is almost 12 years old making it one of the oldest survey websites out there. The servers are based in the United States and the head office situated in New York, NY, United States. The company is owned by Nathanael Ehrich. So, to start with, the website is not based in or hosted from Russia, India or countries from Eastern Europe, some of the favorite places for scam websites to operate from. So there is that, to begin with. At least, it is not a scam website going after your credit card details as the sign-up process is extremely easy and does not require credit card details or any other information that you are not comfortable with. You just have to enter your email or simply sign up with your Facebook account, simple and easy. Before signing up with the website, it is important to learn some more about Vindale, how it works, what it offers, and why do you want to sign-up for this one instead of many other similar survey websites? It looks pretty simple and win-win for everyone – isn’t it? But we will look into this if things are really that simple when we share what their users have to say about their experiences. But the initial sign-up process looks very simple. Just like every other survey website that claims to offer benefits to users, like money, gift cards, points, etc, Vindale also has some good and bad features. The feature that I like the most about Vindale Research is the offer they make. They are not offering any gift cards or points you need to collect before getting some rewards for They offer money, the real cash. You fill the surveys – you get the cash – simple and straight forward. The payments for surveys are also considerably higher than what others are paying. Vindale pays between $0.25 and $50 for each completed survey, but in some cases, when the product is also sent to the user for review, Vindale pay up to $75. The more complex the survey is, the higher it pays. For example, if a survey requires in-depth medical knowledge, it pays more. Surveys are not the only way to earn money from Vindale, there are plenty of other options that can help you earn money when you are bored of filling out surveys. It may take more time than you expected to earn money. Even when it looks very simple, many people will fail to meet the eligibility criteria for different surveys as they don’t fall within the demography the company is targeting. In most cases, this results in frustration as people also have to fill a questionnaire, sometimes very lengthy and time-consuming only to learn they are not eligible. But to make it clear for the readers, it is almost same on all other survey websites. It is not available for the global audience. It works only in the United States, Brazil, Australia and Great Britain. The website also offers products to use and coupons but they are only limited to the United States. The cashout limit is $50 which also expires after a certain period. You can expect a lot of emails from them or their partner companies once you subscribed with them, so take cover. Is Online Survey the Only Way to Make Money from Vindale? No, there are plenty of more ways and that is what I like about them. If you understand the company and have a good experience, I suggest exploring some of their other options to make some additional cash. I have listed some of the best ways to earn more money from Vindale Research if you are too bored of surveys. This is one of the easiest ways to earn money, even easier than filling out surveys. All you need is to watch videos and you can earn up to $0.25. The referral program offered by Vindale Reward is among the most rewarding in the survey industry. All you need is to share a link and you will earn $5 for each person signed up with them through your link. Just share a photo with a proof of your earnings to add $5 to your account. Vindale probably collects these photos and videos to provide a proof of their payments. You can also opt for their rewards mail program. All you need is to click on their emails and read their promotional messages. The payment is up to $0.10 per email. You also earn $2 as a sign-up bonus immediately when you subscribed with them. Almost everything about the Vindale Research looks good so far, right? But when it comes to online feedback, things are not as good. Why? Because there are more negative feedbacks online than positive. The aggregate rating is also below average at many different review websites. Having said that, Vindale Research also enjoys a lot of positive feedback and success stories shared by happy users, but the problem is, these success stories are outnumbered by complaints by customers, which is alarming. Let’s begin with the positive online feedback. To start with, the business is accredited by BBB, and not only that, it is also rated as A on a scale of A+ to F. If you are confused, SayForExample is the alternative name of Vindale Research. The website is reviewed moderately or below average on different review websites. For example, on BBB, it received an aggregate rating of 4 out of 5 from 7 users. On the other hand, at Consumer Affair website, it received an aggregate score of 2 out of 5 – at Yelp, 2 out of 5 – on reviewopedia.com, it received an aggregate rating score of 2 out of 5 from 156 different users. Website shutting users out once they spent a good amount of time and earn some money in their account. After spending a lot of time on a survey, users are told they are not eligible for the survey. The price of some surveys is too low compared to the time spent. In some cases, people just make $2 or $3 an hour after completing lengthy surveys. In some cases, when the user tried to claim the money, Vindale closed their accounts. Now this is what I call an alarming complaint. In one case, the user claimed that after his first successful payment, the company asked him to send his identification documents. Even after learning that he was a permanent resident in the United States, the company canceled his account along with $90 as he was not a US citizen. So my advice – if you are not a citizen of the United States – make sure to confirm with their support if you are eligible. Users paid without any problems after they reached $50. Quick payments through check and PayPal. Customers finding it better than other similar options. Possibility to earn more quickly if you can select surveys according to your eligibility, in simple terms, by playing smart. According to one customer, he earned some money within the first two weeks of his subscription. 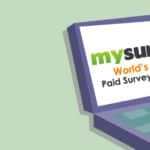 The user claimed that the angry feedback from other users for not qualifying for surveys is not valid as it is not only Vindale, every other survey website has the same criteria – it is how this industry works. The user was also right about keeping expectations low. Vindale Research does not promise that it will make you rich, but it offers an opportunity to earn some extra cash over your regular income. Another user also hit back at the people who were complaining about the slow pace of earning. He claimed that most don’t read the instructions and policies in detail and paid the price by going into the wrong direction and wasting time. If you can read about eligibility and other instructions, things can be much faster and easier. There is no doubt that the website is popular and enjoys significant monthly traffic. According to Alexa, Vindale Research is currently ranked among the top 7000 most visited websites in the United States and Canada. The website was ranked among top 32000 most visited websites a year ago but climbed to top 28 thousand most visited websites in July 2017. This shows Vindale is gaining popularity as well as more users. According to SimilarWeb, the website is viewed 1.30 million times in the first six months of 2017, which equals to more than 200 thousand views every month. The data related to the monthly traffic, global and North American rankings and their performance in last one year reflect that the website is not only among the most popular survey websites, but it is also growing with its expanding traffic. Is it a Yes or No? Vindale claims that the company has paid more than $5 million to users, a claim that is also backed by some customers on different review websites with their success stories about their earnings. On the other hand, there is a significant proportion of online reviews with complaints about foul play from the company. Based on the mix online feedback and their popularity in last one year, I believe Vindale is a legit survey website with a lot of users who have actually earned money from the website, but it is certainly not for everyone. You must be patient and should choose surveys according to your eligibility to save time. There is no doubt that company has paid thousands of people as evident from the online feedback, but you must be patient and have a good understanding of the Vindale process. At the end of this Vindale Research review, I recommend everyone to try it, but if you think it is taking a lot of time or you are not getting a grip of how things work the best way, simply unsubscribe. After all, you don’t have to pay anything to sign-up with them. So try them, if you don’t like the feel of it, quit and move forward. PineCone Research is another good site that you can give a try to.